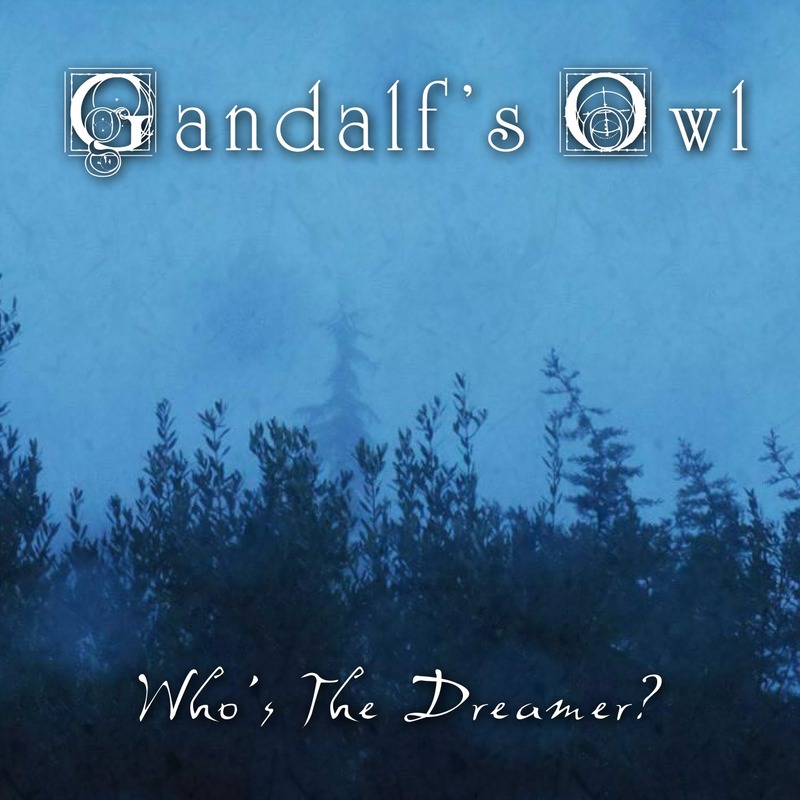 After the EP “Winterfell”, Heimdall’s vocalist Gandolfo Ferro comes out in 2019 with his first full-length, entitled “Who’s the Dreamer?”, an ambitious ambient/prog rock/experimental piece of music released under Club Inferno Entertainment. Although the italian musician ventured far, musically speaking, from anything he had previously done, the premises for an interesting and unique piece of music seemed to be there. Although the expectations many listeners had were not completely deceived, it’s undeniable that they were not completely fulfilled as well. On one hand, one cannot help but praise the eccentricity and the eclecticism of the compositions: mixing progressive rock, various kinds of electronic music, ambient, and a vague touch of shoegaze in certain tracks, the record surely makes up for an interesting, evoking, almost psychedelic listen. Tracks like album opener “Winterfell” or the two parts of “A Dwarf in the Lodge” surely will make the joy of any fantasy aficionado, thanks to the great atmosphere they create and the quasi-timeless emotions they provide; furthermore, the tasteful, Pink Floyd-inspired solo included in the second track surely adds depth and embellishes the whole lot. “Garmonbozia” completely changes the atmosphere, shifting towards darker and gloomy solutions, provided by the omnipresent synths and the excellent sampling, making up for what’s probably the best and most disquieting track of the lot. “Between Two Worlds” takes us literally to another dimension, resulting mysterious in the first third of the song, including excellent clean vocals in the second third, and ending with an emotional and atmospheric solo. As the reader will understand from what’s written above, there’s a lot to praise about the music contained in this effort, but there are also a lot of doubtful aspects. After finishing to listen to “Who’s the Dreamer?”, the listener will surely start to wonder what the the album really impressed him for, besides the general sense of daydreaming and the psychedelic atmospheres. Gandolfo experimented so much, so widely, and so diversely during the platter, that he wasn’t able to recollect the music to a common thread. The whole effort sounds like the musician’s stream of consciousness, and while many may praise this aspect, it’s as well undeniable that often this results in a dispersive or unfocused songwriting. If we add the fact that, in tracks like “Coming Home” or “Il Vento, la Notte, il Cielo”, the employment of sci-fi-esque effects, almost recalling a movie from the 1980s, seems rather out of place and doesn’t fit the mood of the track at all (a problem common to most of the platter), I can’t help but believe that focusing more on the actual songwriting process rather than on the will to experiment and sound unusual at all costs would have benefited this album. All in all, “Who’s the Dreamer” is, without doubt, an interesting effort, although with some weaknesses, and surely we have to give it credit for its extravaganza. People looking for something original, unexpected or simply strange to listen to, may find it interesting. This entry was posted in Bands, Reviews, Uncategorized and tagged 6.5/10, ambient, club inferno entertainment, Electronic, Gandalf's Owl, italy, Progressive Rock, psychedelic, reviews. I've been a metal maniac and a singer since 2014. The bands I currently sing in are named Vulturia (groove metal) and Nightshade Root (melodic death metal). I started my musical journey listening to classic heavy metal and epic/power metal bands (Iron Maiden, Manowar, Rhapsody of Fire), to shift later towards more extreme subgenres, like death metal, brutal death metal, technical death metal, symphonic black metal, melodeath and so on. Favourite bands: All Shall Perish, At The Gates, Arch Enemy, Behemoth, Cannibal Corpse, Carcass, Children Of Bodom, Cryptopsy, Decapitated, Demilich, Dimmu Borgir, Dissection, DragonForce, Dying Fetus, Emperor, Fear Factory, Fleshgod Apocalypse, In Flames, Immolation, Immortal, Kreator, Lamb Of God, Machine Head, Necrophagist, Nile, Pantera, Pig Destroyer, Rhapsody Of Fire, Septicflesh, Slayer, Slipknot, Suffocation, The Black Dahlia Murder, Thy Art Is Murder, Whitechapel.